Lots of folks living in and visiting our Natural North Florida region don’t think of rural Jefferson County as a Mecca for fishermen, in fresh or salt water. Of course, there’s lots of great hunting land, but we need to consider that Jefferson County stretches all the way from it’s short Gulf of Mexico coastline to the Georgia state line. So, it has some excellent saltwater fishing as well as some pristine rivers like the Wacissa and Aucilla. In fact, based on recent archeological finds, it seems that ancient humans lived near the Aucilla river as long ago as 14,000 years, long before similar civilizations appeared at places like Clovis, New Mexico. That means there have been lots of anglers there for millennia! 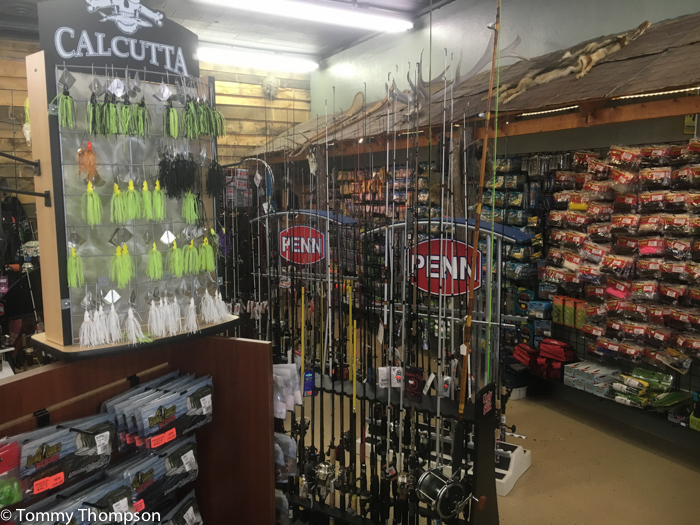 Monticello is the county seat of Jefferson County, and now has a very nice fishing store, Trophy Creek Outfitters. There are guns for hunters, too. And some out-of-pawn bargains. But the thing that impressed me was the selection of rods, reels, lures and baits, live and frozen. All this in a small town–but obviously one with a big outdoors interest! In addition to rods and reels (freshwater, saltwater–inshore and offshore! 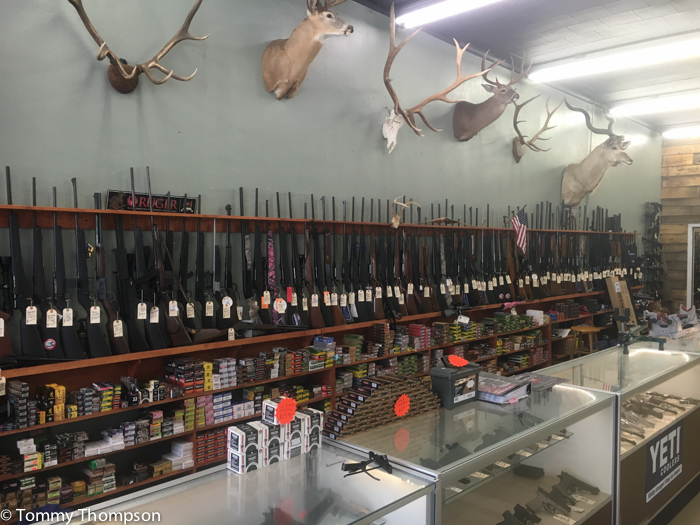 ), you’ll also find a full line of Yeti Coolers and an excellent selection of hunting guns, gear and accessories.